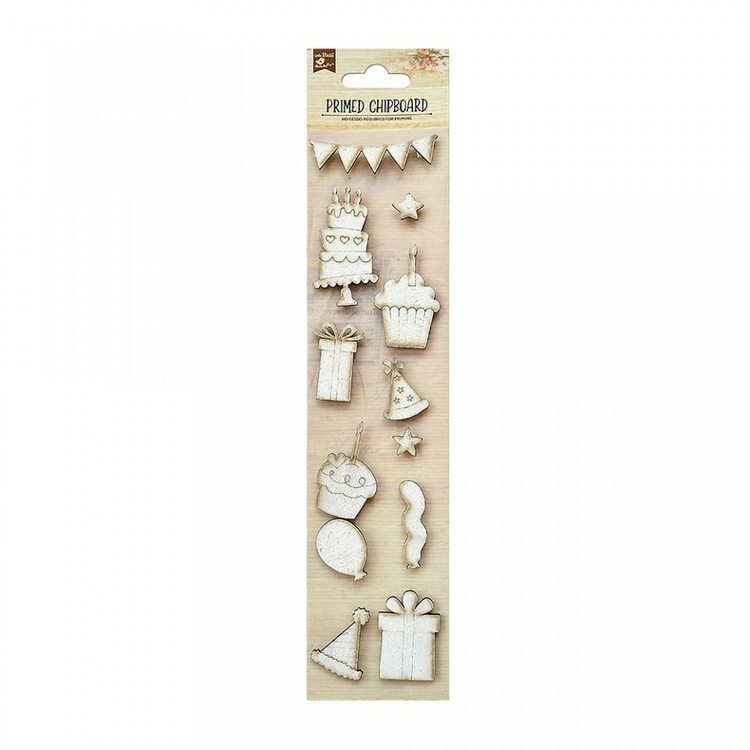 hese pre-primed, ready to use chipboard shapes are great for scrapbooking, paper crafting and other projects for adding extra interest. Ideal for creating three dimensional effect on mixed media, scrapbook layouts and other projects. Incredibly versatile, these can be painted, sprayed with colours and customized with embellishments. Comes in a wide range of designs to match varied themes. There is no requirement of using gesso on these chipboard shapes as they are already primed.